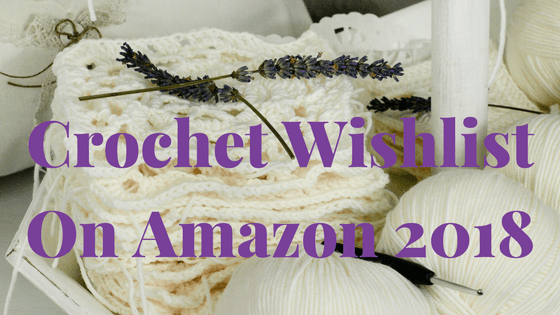 My Crochet wishlist on Amazon* is growing for 2018 even though I managed to grab a few goodies already this year! I managed to tick off a few tools like stitch markers, a range of hooks and stitch counters. My wool/yarn collection is growing even more too after the Mr bought me some Aran yarn & a yarn cake. I mentioned last year in My Ever-Growing Yarn Wishlist several Carron Cakes I had my eye on and I have been keeping an eye out for sales with no luck. The Mr found a So Crafty Yarn cake in Aldi this week though and grabbed the last one knowing I love the different yarn cakes available. As you can see the Mr also got me a few other goodies, helping me create an even more comfortable, calming, crochet corner! This little haul made me really smile and now I look forward to resting when I need to instead of feeling guilty. Of course, this has also spurred me on to hunt for even more gorgeous crochet goodies to busy myself with when I need to rest. From crochet tools, yarns and more my wishlist right now is quite extensive! Any crocheter will need a lovely pair of scissors to snip yarn at times, why not a lovely vintage pair? Yes, I know, I haven’t even bought the ones on my last wish list… yet! But here are a few more I am currently in love with anyway including this huge yarn cake that would be perfect for using on a project for Eva. I also really love this yarn, it would be great for a scarf tying in my favourite colours. This stunning collection has some fab shades including purple haze which is stunning, as is ocean but this one, in particular, keeps catching my eye. It would make a lovely cardigan! This gorgeous sock yarn is also on my crochet wish list this year as I am determined to crochet a pair of socks! Every crocheter needs a mug & coaster, even with my obsessive purple mug collecting I have yet to buy a related mug or coaster! Shocking! Amazon has some quite amusing mugs like this one below. It made me giggle as last year crocheting helped me travel without feeling overly anxious. That also makes this next mug on my crochet wishlist pretty true too. I have to admit it has helped me keep calm in situations where I normally struggle haha! I love both of these hoodies, I just wish they came in purple! As someone with a slight stationary obsession, of course, I had to find a notebook to note down any stitches or perhaps if I ever learn to write a pattern. I love this one and is top of my stationary crochet wishlist. *Please note this page contains affiliate links. If you wish to see these but use an ad blocker you will need to allows ads for my site.